Standard was developed by and is owned by Standards Australia. A copy of AS 5264-2011 can be purchased from SAI Global. The Australian Standard for Olive Oils and Olive Pomace Oils, AS 5264-2011 were published on Wednesday 20th July 2011. This landmark event follows a rigorous standards development process which began in late 2009 and was formally agreed to in May 2010. The process involved multiple industry stakeholders, almost 800 public submissions and has culminated in Standards Australia approving this new olive oil Standard that has been developed to protect the integrity of the entire olive oil supply chain with a particular consumer focus. The new Standard is the culmination of a large amount of work by the AOA for the last decade including the funding of world-leading research (in partnership with RIRDC) and the long-term work on international trade standards in conjunction with DAFF. Improves significantly on other older standards in use in other parts of the world. 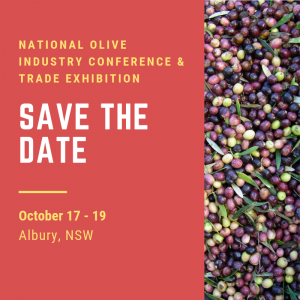 The Standard has been developed in parallel with the development of the Australian Olive Industry Code of Practice and the Consumer Awareness and Education Campaign. The release of this Standard will have a positive international impact for all who believe as we do that olive oil should be sold as the actual grade it is to informed and trusting consumers. This work on improving the way olive oil is authenticated and qualified has been the primary focus of Paul Miller (President) since 2001, building on the desires of his predecessors and upholding the absolute commitment of the Australian Olive Industry – through the AOA – to its belief that quality is the key to the commercial future of the industry. The AOA would like to thank the numerous people that have supported this work. In particular Dr Rod Mailer who has stuck with this issue since he alerted us to it ten years ago, Boundary Bend and its technical director Leandro Ravetti for their tireless support, the AOA Directors and Committee members that have had input over many years and our colleagues at DAFF and RIRDC for their long-term financial support of the overall effort, personal input and advice as well as recent support under the Promoting Australian Produce Program. Standards Australia recognised the need for the Standard and is to be thanked for this and congratulated on its thorough processes. We would also like to that all of those quality conscious growers who also generously donated money personally and through your Associations to the R&D and Standards development fund especially when we sorely needed it last year and also during the previous decade of important research and work. SPECIAL THANKS: The AOA Directors, past and present, would like to sincerely thank Paul Miller for his resolve to see these Standards through, his patience and his untiring effort. We are always astounded at work Paul has put in on our behalf to understand the complex global politics as well as the domestic forces that influence matters of olive oil quality and authenticity. Without his effort and strategic skill we would not have been able to achieve leadership by Australia on this critical subject. Even now Paul is involved in joint work with the US industry to make the AOA’s progress on olive oil quality for our oils in overseas as well as domestic markets. This has always been voluntary for Paul and he has undertaken this task because he believes passionately in the Industry. A big thank you also to Rod Mailer (Australian Oils Research Lab), all those producers who assisted with funding this work and of course Leandro Ravetti (Modern Olives) who won an award for his excellent work on the Standard!